casual attire. One man is in a suit and tie. There are trees in the background. 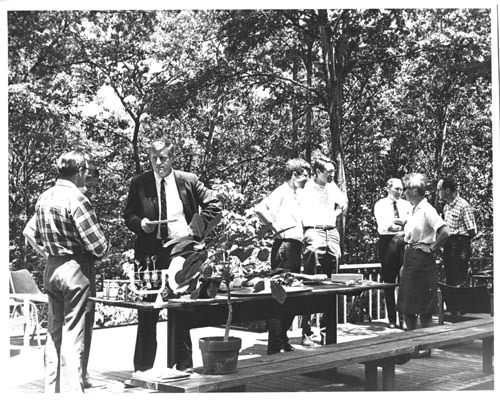 Verso: "Meeting at D.C. Smith home 1st Micro-Bit gathering June 1969"